Koreans’ overseas spending hit a record high in the third quarter, largely due to increased overseas travel and direct online shopping at foreign websites. According to data from the Bank of Korea (BOK) Monday, households’ overseas spending was 6.4 trillion won ($6 billion), up 11.2 percent from the second quarter’s 5.8 trillion won. It is the largest amount ever, breaking the previous record of 6.2 trillion won in the third quarter of last year. The spending includes expenses for Koreans’ overseas trips, money spent for study abroad and payments of goods which people here buy directly from foreign shopping websites without passing through traders. 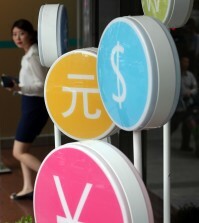 Hyundai Research Institute economist Lee Jun-hyup said the exchange rate has prompted more overseas travel. 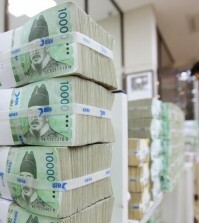 “The Korean won has appreciated, so it is natural for a growing number of people to seek overseas trips,” Lee said. The annual growth rate of overseas spending has been generally higher than that of domestic spending for the last decade, although it shrank in 2008 and 2009 in the aftermath of the global financial crisis. It increased 14.6 percent in 2010, 2.9 percent in 2011, and 8 percent in 2012. Contrary to that, domestic spending grew 6.8 percent in 2010, 6.5 percent in 2011 and 3.8 percent in 2012. This year as well, overseas spending rose 4.3 percent for the first three quarters compared to the same period of last year, while domestic spending increased 2.6 percent. The majority of overseas spending was for overseas travels. Last year, $16.5 billion, or some 18.6 trillion won, out of the total spending of 22.4 trillion won, was for overseas trip expenses. 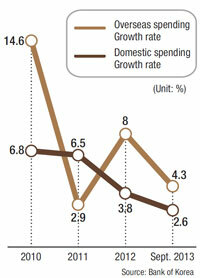 This year, Koreans spent $14.7 billion from January to October, up 11.7 percent from the same period last year. Another factor in overseas spending is direct online shopping. 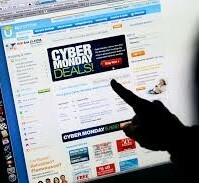 A growing number of people buy goods from foreign websites, such as clothes and shoes, as they can buy the items at much lower prices than buying them at department stores or other types of malls here after they are imported. Lee said such direct shopping has become widely known in the latter half of this year and the boom may continue for years. “For a single item, people compare the prices set here and abroad. Without tariff, the price at foreign shopping websites is much lower, so they choose it. 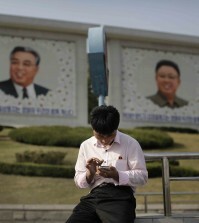 It is a prudent consumption and will expand,” he said. He said the free trade agreement with the U.S. also played a role in the direct shopping boom, as the pact allows tax-free purchase of items priced up to $200, an eased standard from the previous 150,000 won for the item’s price and shipping fees combined. However, it is feared that increased overseas spending will lead to a slowdown in domestic consumption and economic growth. Lee said trips or goods purchased here lead to increases in sales or production of manufacturers or self-employed people, which are again linked to employment and household income increase ㅡ a virtuous circle which overseas spending does not generate. “Such direct overseas online purchases can shrink the domestic wholesale and retail industry, as well as related service sectors. It will also pressure importers to lower the prices of their goods sold here,” Lee said.